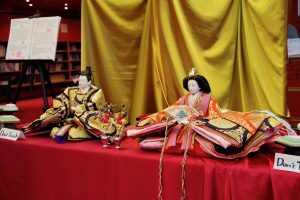 On the March 3 was the Peace Festival, or Hinamatsuri Doll’s Day. Beautiful decorations around the ship lent a brilliant atmosphere to the onboard environment, and with dolls on display many people lined up to wear kimonos and have their photo taken with the dolls in what was probably one of the rarest displays of Japanese culture – one that took place sailing around the world. 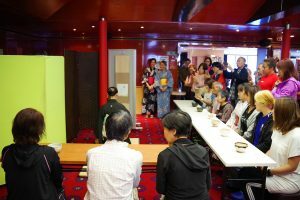 Following a relaxing aroma leads you to the ‘Hinamatsuri Tea Ceremony’, where all the utensils, methods, and space is beautifully and immaculately laid out. Once the tea reaches your lips, the taste brings a warm sense of relaxation, and a little bit of luxury to the ship. 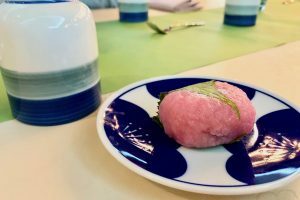 In the fourth floor restaurant Regency, there were numerous traditional dishes including clear broth, chirashi sushi, and sakura rice cakes, all specially prepared for the day. As we travel the world meeting all different kinds of cultures and traditions, this gives us an opportunity to look at our own values as we continue on our journey.